I'm ready for that 24 hour, champagne shower...or should I say...jiggle? These are by far my favorite kind of Jell-O shot. They aren't overly sweet so you can toss back a couple of them without hesitation. Plus, just look at how cute they are with their stars and strawberry toppings! 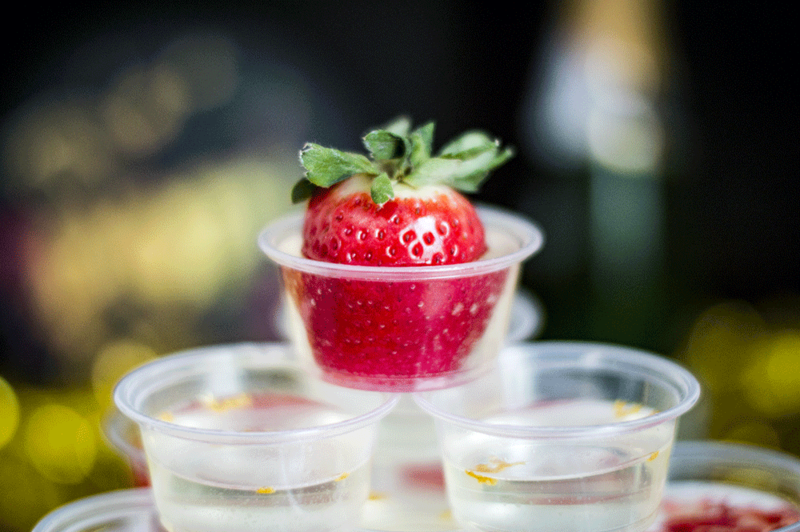 You don't even need expensive champagne to make the perfect champagne Jell-O shots. In fact, cheaper champagne actually seems to work best! 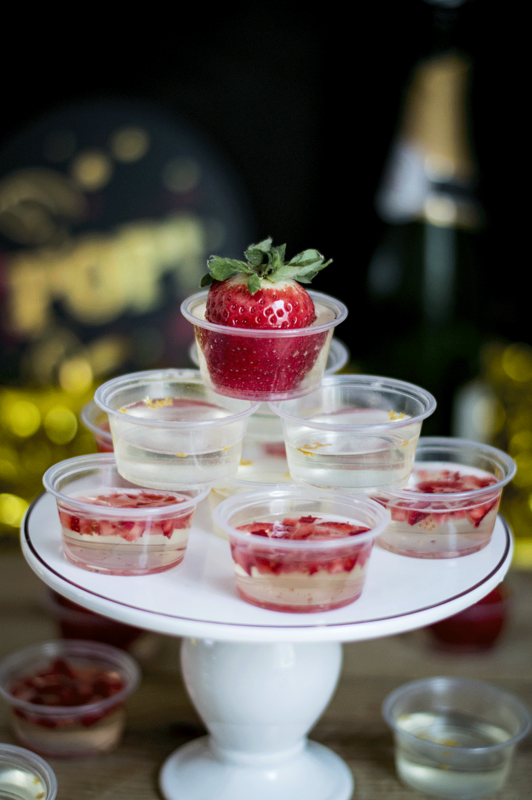 Champagne Jell-O shots are a sure-fire way to class up any cheap champagne - just add some edible glitter and strawberries and you will be the star of any party! In a small sauce pan, heat the water until simmering then remove from the heat. 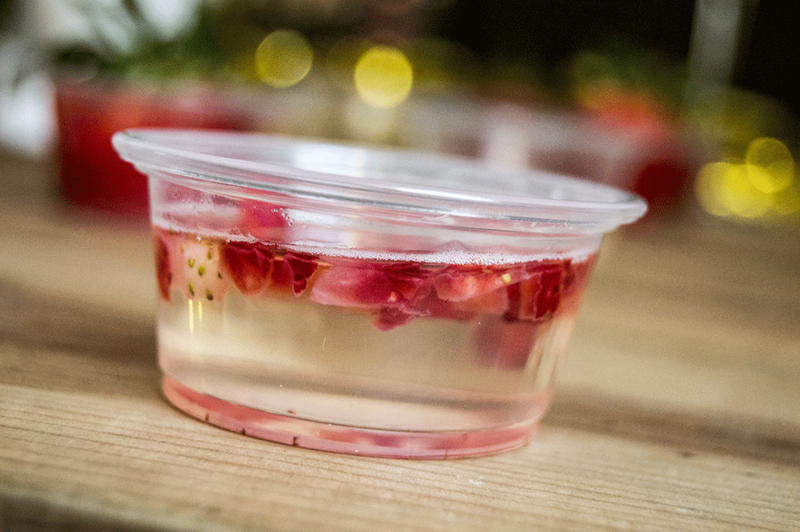 Sprinkle the gelatin on top and let bloom for 5 minutes. Meanwhile, in a large bowl, whisk together the champagne and vodka. Pour in the water and stir until the gelatin is completely dissolved. 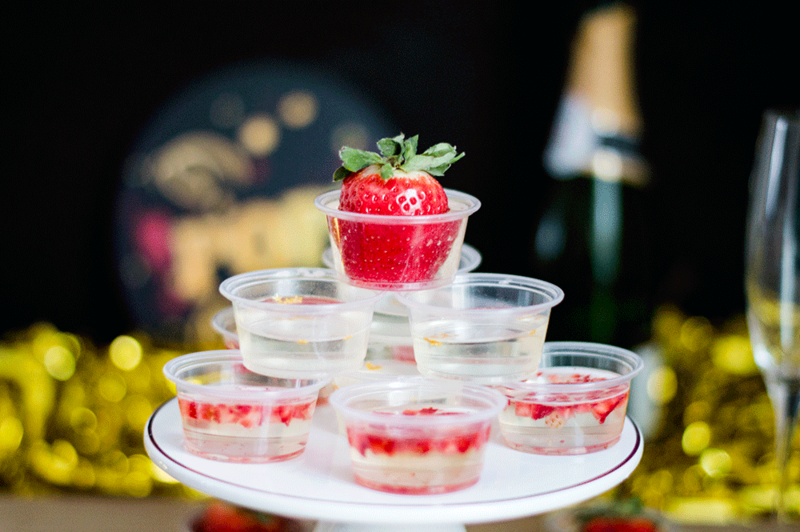 Alternate sprinkling diced strawberries and edible glitter on the top of the shots. 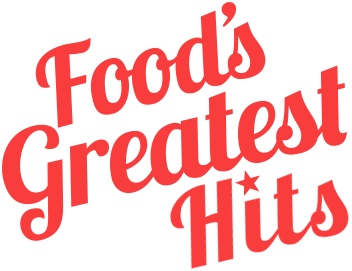 You can also use full sized strawberries that are submerged about half way in the shot. 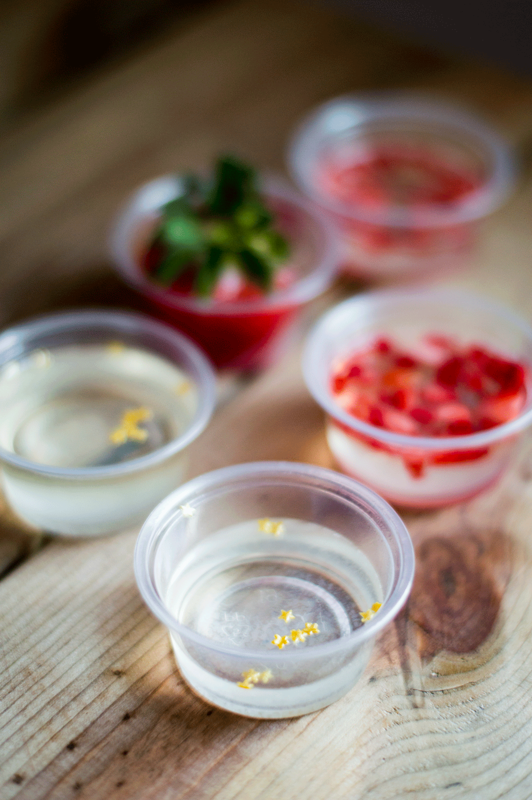 Ladle the liquid into the shot cups and add a lid for easy transport. Chill for at least 1-3 hours, until the shots are set. Enjoy responsibly!